How Many Medic Alert's Have You Purchased? To Play Ball or Not to Play Ball? My "Christian's" ankle is not in great shape. It's a target joint and has continued to give him problems. I am noticing that when he runs he adds a skip into his gait. Without his brace, he turns his ankle to 90 degrees. He's protecting it. Without knowing he is doing it, he protects his ankle so that he doesn't endure the horrible pain he has had in the past. Am I doing the right thing letting him playing tee ball? I am really starting to question myself. Christian was fitted for a brace to support his ankle several months ago. It has really helped him out. His hematologist was worried that Christian might even develop a bleed in his hip because he was over compensating for his ankle. I have to let him take a break from his brace occasionally because it rubs against his leg and it gets hot. I also hate that it makes him "look" different. I am waiting on a call to have an MRI taken as well as an initial consultation so that he can start physical therapy. With his inhibitor, we just have to keep on going with the hopes of getting on Factor VIII soon. At a fellow hemophilia mom's persuasion, I am going to insist that we have regular MRI's to keep tabs on any damage that is being done. As a former colleague of mine used to say, "we'll just keep on keeping on." When you have a medical condition, it is imperative that you wear a Medical Alert type of emblem. You can find them at the drugstore or by visiting www.medicalert.org. When my oldest was little, I would put his medical bracelet on his backpack, then his shoelaces. Now you can even get medic alerts made to go on the shoelaces. He has tried the sportsbands and the necklaces, but the best bet, for him, has been the dog tag style. Have I purchased more than one...let's just say that I have lost count. I just left the Medic Alert website and ordered yet, another dog tag. My son is going on tour with the Albuquerque Boy Choir in a couple of weeks and he must wear his identification. He is going to be away from home for a week and I want to make sure he is doing everything possible to keep himself safe. The crazy thing is that we think horrible things like a car accident might happen when our children may be away from us, but I have heard more than once that some of the most devastating accidents happen within a few miles from home. You never know when something might happen. Maybe not to your child, but to you, and you will not be able to be your child's voice. Do everything you can to protect your children. Insist that they wear their medical alert identification. My "Christian" is the kind of boy who is going to love being on a team. He is "made" for sports. I am afraid the day will come when I am having to direct him to another sport other than football. He's just that way. I've not had experience with the "sports" thing because my oldest is a creative type. He did play some soccer, but it was not his thing. We sure did have fun while it lasted. I really enjoyed going and sitting under the trees with the mountains in the background watching the kids play. Christian recently went to a short soccer workshop. He absolutely loved it! He didn't really know what he was doing, but he had a great time. We signed him up for a week long soccer camp in July. Tomorrow is tee ball sign up. My husband is nervous about it. How dangerous can five year old tee ball be? Do we take the chance and let him run his little heart out and build his social skills, or do we hold him back? Do we let the fear of his target joint keep him from participating, or do we infuse before he plays and watch over him? I just can't see holding him back. Yes, we are going to have to "steer" him to certain activities to make sure he is safe. Boys will be boys, despite hemophilia. My job is to encourage my children and let them experience life fully. My "Christian", who is five, has a high titer inhibitor. When he was first diagnosed, during his circumcision at 11 months of age, the inhibitor registered over 2,200 Bethesda units! It's now down to 41. It's been a long journey, and the journey is not close to over. I remember attending an NHF rap session for parents of children with inhibitors a few years ago. There was a parent talking about a drug, Rituximab, that is a chemotherapy drug being used to help eradicate inhibitors. I thought she was completely crazy! How could you give that kind of drug to your child without knowing for sure the track record it had? Boy did I eat my words. It ended up being an avenue we decided to take. Christian started a protocol of Ritximab and Cytoxan in September of 2009. It's not been easy, but it has produced some really great results. But one thing I learned from a new friend of mine (that same mom I heard back at NHF) is that I need to let go of the numbers. If I continue to measure everything based on the inhibitor level, I'll not only make myself a little crazy, but we will forget to live life and take each day as it comes and let my son be the five year old that he is. It's all about living with the inhibitor one day at a time. The inhibitor may go away in a few months, a few more years or maybe never. We just don't know. What I do know, is that we have product that helps with his bleeds and a great team of clinicians that help us cross each bridge as we get there. I just did a four day stint in the hospital with my "Christian." He had an extremely bad ankle bleed. It's his target joint. He stopped walking on Monday, May 9th and finally walked on his own on Sunday, May 15th. It was very painful. When you watch your child screaming in pain, despite pain medication, it just breaks your heart. Something happened over the past few days. Yes, I have accepted that my boys have hemophilia but when you have great treatment you just kind of go with the flow and become complacent. Over the past couple of days I have watched my Christian struggle to walk and it hit me like a ton of bricks. I have a five year old with a bad ankle. It kind of puts things into perspective. It makes bickering with family, wanting to "fix" other people and feeling sorry for yourself kind of pale in comparison. My initial thought is "NEVER!" But when you have more than one child with the same bleeding disorder (and severity), you see the differences. Sometimes one brother's hemophilia is easier to manage than the other's. It doesn't make either one more or less important because the bottom line is, they both have a severe bleeding disorder. A condition they will live with the rest of their lives. I don't want to make light of anyone's journey with a bleeding disorder. It is real for each person, difficult and demanding in its own way. If I had to use one word to describe hemophilia for my oldest son, "Lance," it would be easy. For my little "Christian," heartbreaking. Lance had his first bleed (soft tissue in his right hand) at 6 months of age, several bruises, a low titer inhibitor that we immediately began immune tolerance the day his port was placed. His port lasted for five years with not one infection and he sat completely still during the access of his port, every day for 2 1/2 years of immune tolerance. He had a very difficult time transitioning from port to peripheral, but has never had a joint bleed. Just one pretty major thigh bleed 3 years ago and an appendectomy. In the grand scheme of it all, his hemophilia has been easy to manage (if only he would infuse M-W-F without me nagging him to do it). 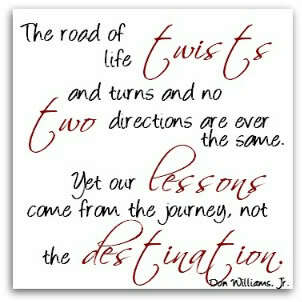 The only reason I can say that is because of the experiences I have had over the past 5 years with my little son. Does it take away the reality of hemophilia for my Lance? Absolutely not. Sometimes I worry about him more than Christian simply because I think he is pretty complacent with his disorder. My husband and I are as well. When treatment has gone so well, bleeds avoided and prophylaxis a reality in his life, we almost forget that he does have hemophilia. It's one extreme to the other. My boys are like day and night. "Lance" is 14, creative, artistic, musical and cares nothing about sports (unless it's on the Wii). "Christian" is 5, loves Thomas the Train, anything with wheels, being in the dirt and it looks like he will have a passion for sports. Despite their differences and the many years between them, they do have one thing they share that will never go away...they both have Severe Hemophilia A. On June 23, 1996 my life changed when I gave birth to Lance. Little did I know that on June 26, 1996 I would be devastated. Absolutely heartbroken. After his circumcision I held him and his little diaper became soaked in bright, red blood. 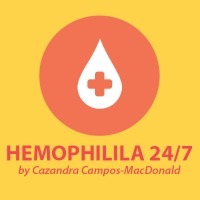 He was diagnosed with Severe Hemophilia A and I did not know if he would live or die. After lots of education and getting hooked up with the Lone Star Chapter, my husband and I realized that Lance could have a normal, full life.